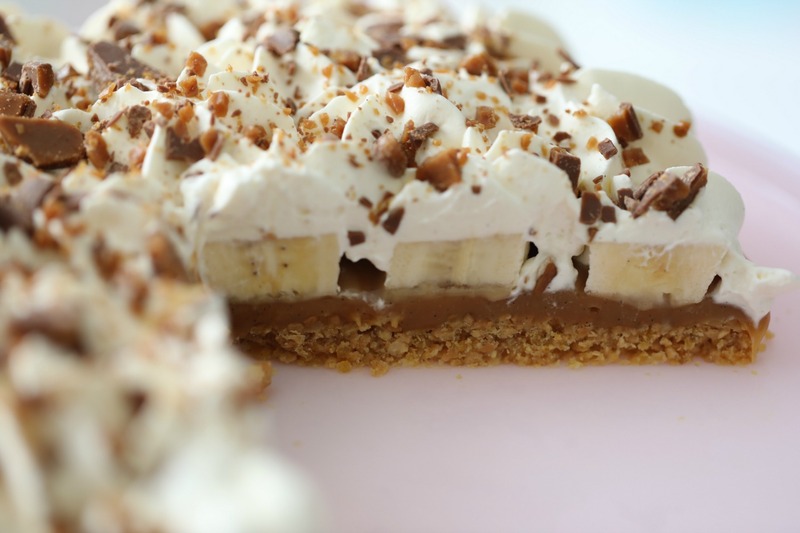 Today I made one delicious pie, I made a banoffee pie! 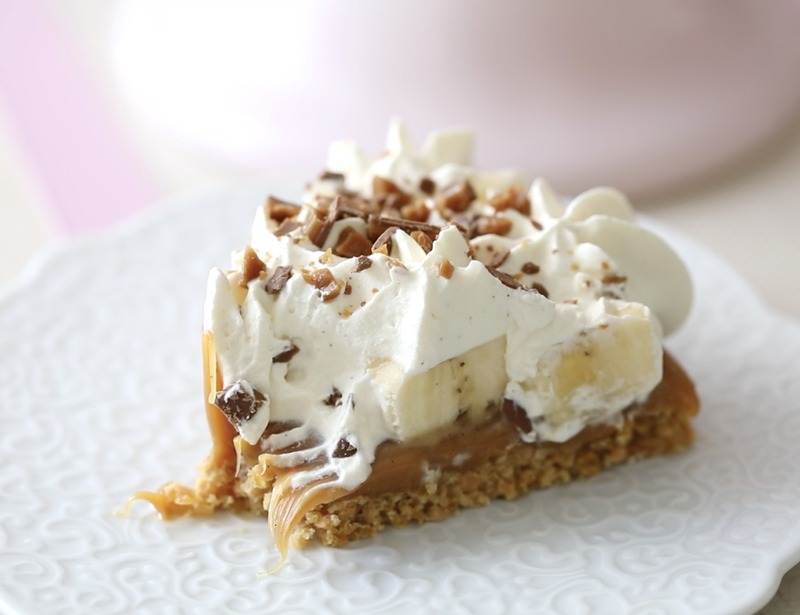 This banoffee pie is not too sweet, it is just incredibly delicious. 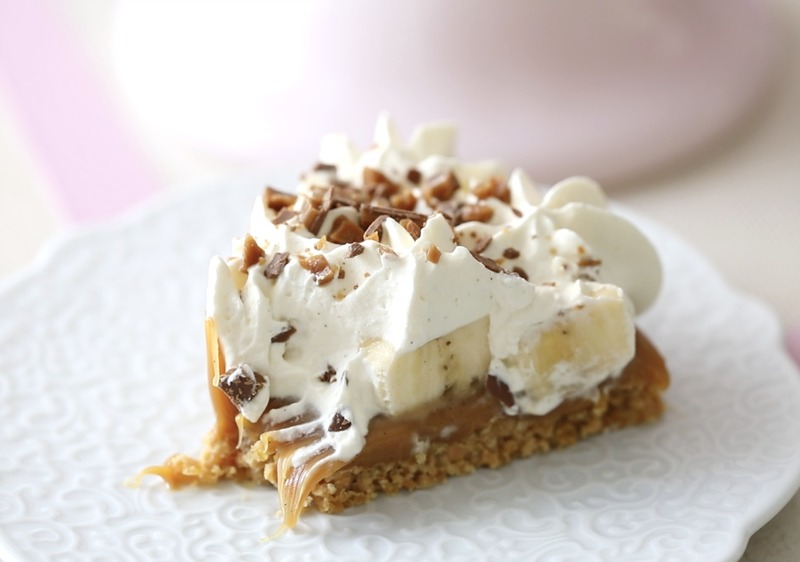 some weeks ago I visited a bakery at a farm where I live, they recommended a banoffee pie, at first I hesitate to order this pie as the sound of it is just too sweet! 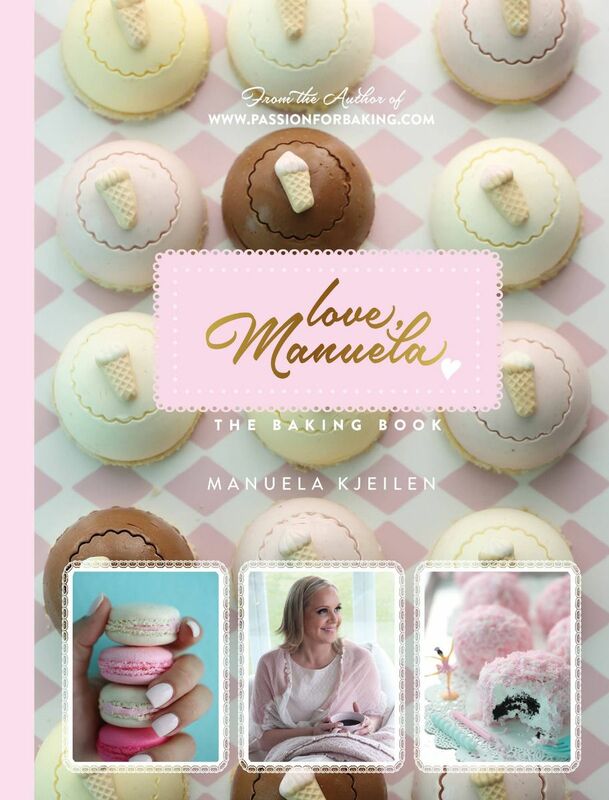 But one bite and I was in Cake heaven, they, of course, did not give me the recipe, but my tastebuds are great. 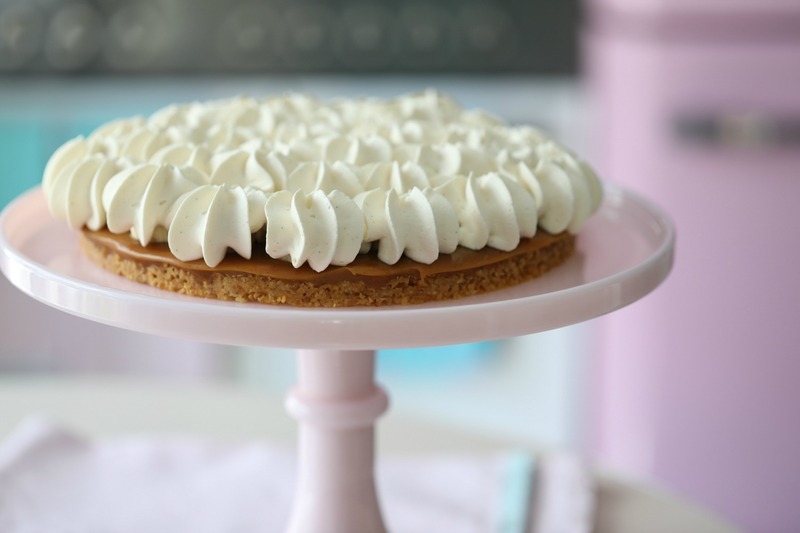 Inspired by the trip to this bakery and my tastebuds, I made this toffee pie, it is magical. 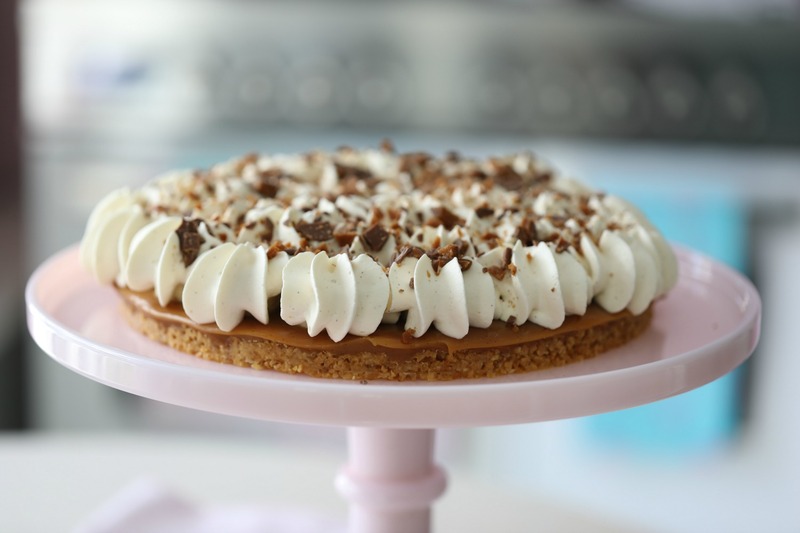 I add sliced bananas and cream on top just for serving, this cake, and I added some crushed Daim candy on top, totally not necessary but if you have it at home, then why not! Watch the video below, to see how I made it! Add the salted peanuts and quickly combine. Pour the hot peanut/sugar mixture into the prepared sheet pan. Place the crushed peanuts/caramel sugar pieces into the food processor. Grease the inside bottom of a 9-inch (26 cm) springform pan with baking spray. Cover the bottom with parchment paper and set aside for now! In a medium bowl, add the crusted peanut/sugar pieces, add melted butter and combine with a spatula. Press the mixture into the bottom of the prepared springform pan. 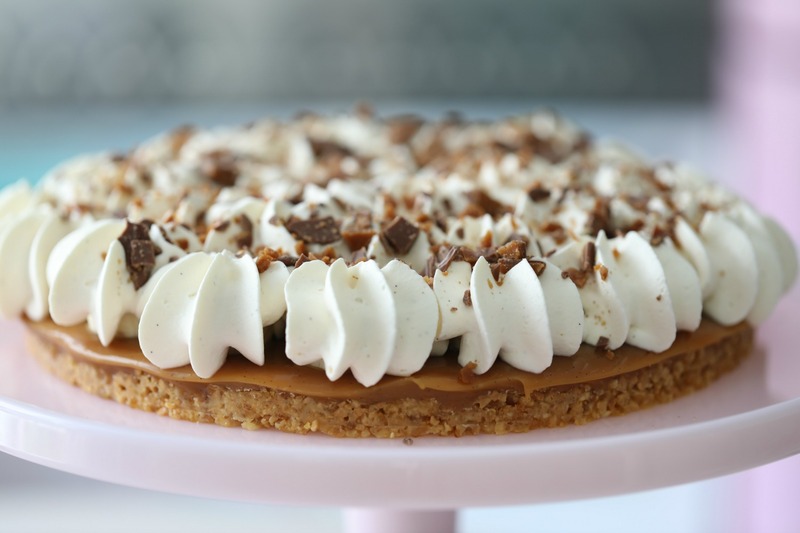 Set aside while you make the toffee filling. In a large saucepan on high heat, melt the sugar. With a wooden spoon stirring constantly until you get this beautiful dark amber color syrup, this takes around 10-12 minutes. Keep stirring on high heat until the caramel has thickened to where it sticks to the back of a spoon about this takes about 3-4 minutes. ( i don’t recommend longer as it will be to firm, and difficult to slice the pie later on. 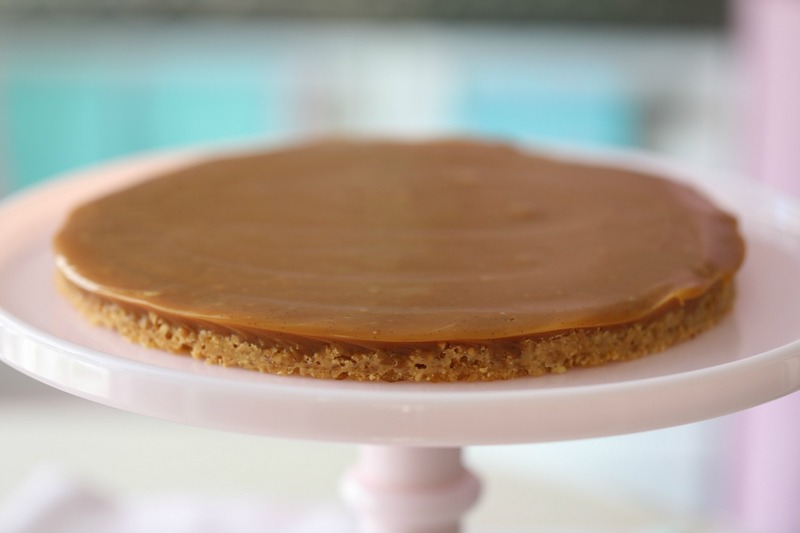 Pour the toffee caramel ( if you like it less sweet just pour 1/2 of the toffee caramel) straight from the saucepan into the peanut base and let cool. Place the cake in the refrigerator for about 3 hours. 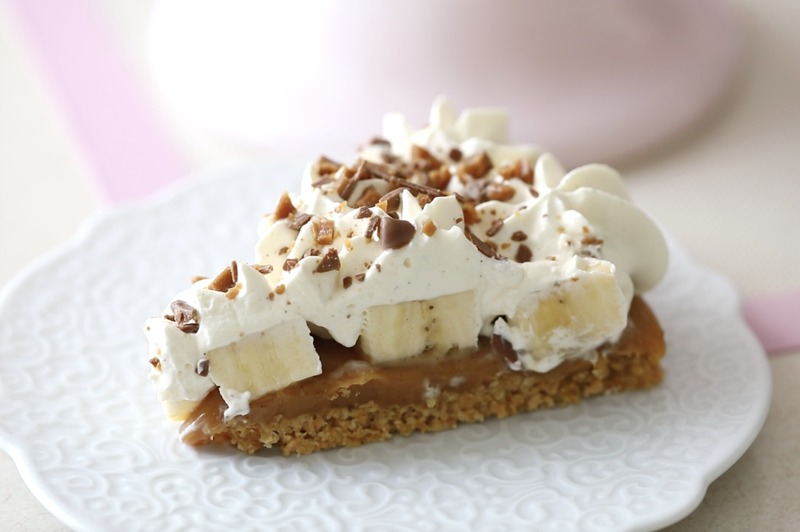 Just before serving, cut bananas into ¼ inch slices, and spread over the toffee surface. Spread the cream all over the surface of the pie, or use a piping bag and pipe the cream on top like I do in the video above. Stores covered in the fridge for up to 2 days. If you can’t use peanuts for some reason or don’t like the thought of so much sugar in the crust, just use 200-gram graham cookies or another cookie you love, crush it and combine it with melted butter if you like the crust to be sweet add some tablespoons with sugar. I wish you all a beautiful day, Make the best of it.